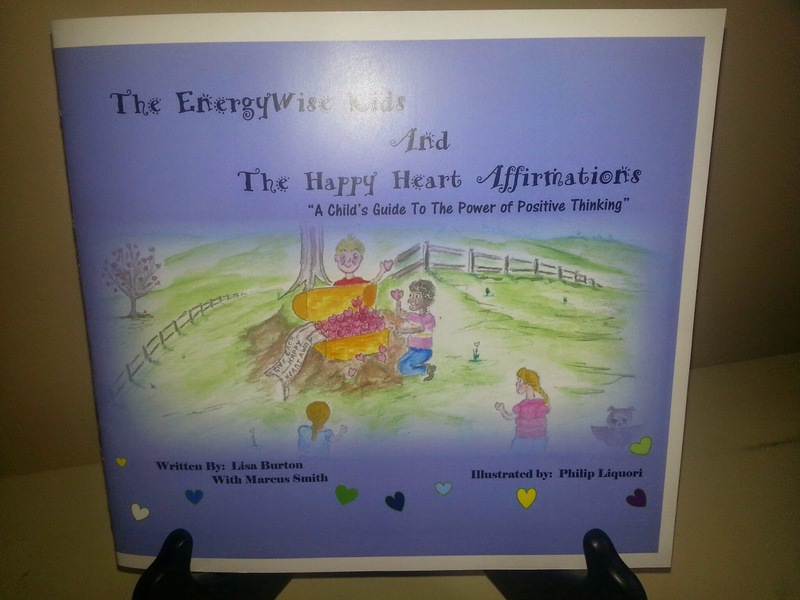 Today we are interviewing Lisa Burton, author of the juvenile/self-help book The EnergyWise Kids and the Happy Heart Affirmations: A Child's Guide To The Power of Positive Thinking. Lisa Burton, MPH, OTR/L is an expert in creating positive, safe, thriving and vibrant school cultures with optimal learning environments using Mindfulness and Natural Stress Management Tools. She works with Administrators and Teachers who desire an effective and easy-to- use, step-by-step motivational system based on Mindfulness principles that unifies the School Community. School Wide results include: elevated student academic achievement, improved workplace harmony, strengthened school to home connections and a sense of restored personal well-being for greater individual success and fulfillment for both students and staff. The purpose of the book is to empower children to purposefully direct their individual well-being and the well-being of the greater community. The story illustrates the power of the individual and how through our interconnectedness, we impact one another. Who do you think would most appreciate your book? Parents, Grandparents, and Teachers who appreciate the value of self-awareness and Mindfulness Tools who are looking for a fun and engaging way to teach this concept to children and would like a hands-on activity to practice this concept. What inspired you to write a book about the power of positive thinking? The Power of Positive Thinking is a Tool I rely on daily. It was a concept I introduced to my son at a young age and also to the staff and students of the former childcare center I operated, with positive results. I see it as a valuable Tool to help children develop resiliency in these turbulent times. Why is it important to have a positive mindset? It is important to have a positive mindset to inspire oneself, persevere towards one’s goals, and to contribute to humanity. Do you think children growing up today have a different set of challenges than children who grew up two decades ago? Yes, today’s children live with higher levels of stress at younger and younger ages. The sources of stress are many: excessive Media influences that dictate how one should look and dress, intensive competition in school both academically and with sports, a bombardment of violent images through gaming, film, and TV, technology driven, fast-paced lifestyles, latchkey kids, and often times extensive peer pressure through social media. How do you hope your book will impact readers? It is my intention that the book will serve as a fun and engaging prop for Parents, Grandparents, and Teachers to use to start a conversation about what their child thinks is important to them and to their greater community. And now once you know that, the child can learn, through the Power of Positive Thinking, how to create it. The next book is already in the works. It describes and illustrates an additional 12 new tools to create and sustain a Mindfulness Practice for the home or the classroom. The rhythmic meter and rhyming of the story is fun and engaging. The wonderfully detailed illustrations reveal something new each time you look at the pages – for example, a snail with a spiraled shell, crickets dancing together, and the last page contains 12 Happy Heart Affirmations to be cut out and used as a positive thought for the day, tucked in a lunch box, or hidden under a pillow as a reminder to the child about the power of positive thinking.